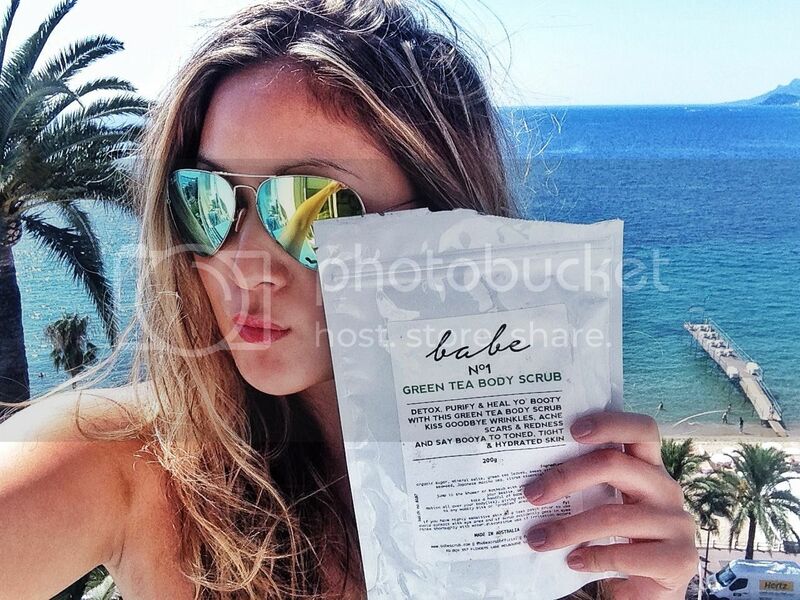 Welcome to Babetown: Babescrub – Christing C.
Silky smooth skin is an essential base for that much lusted after beach tan, so I was so excited to test drive Babescrub’s all natural products to get me ready for a day in Cannes. 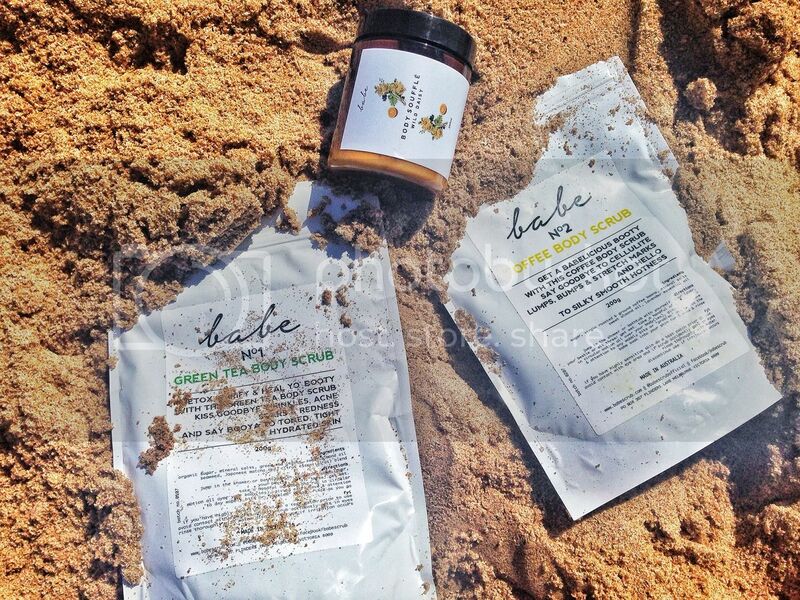 Not only do the scrubs and body souffles smell incredible, they are Australian made using pure, natural ingredients. No toxic, nasty stuff, and still works wonders on your skin. 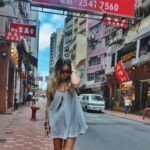 I was obsessed with the Green Tea Body Scrub and Coffee Body Scrub, both smoothing creating a silky baby soft skin and even reducing cellulite and stretch marks. So necessary for me as I’m still only 4 months post Ever Tai’s birth. I loved the concept of the dry body scrub which is much less mess and so easy to use. Don’t miss Babescrub’s body souffle which is perfect to glide on post shower after a long day at the beach. My skin has taken a beating from long sunny days and dips in salt water, but the body souffle has kept me hydrated and smooth. 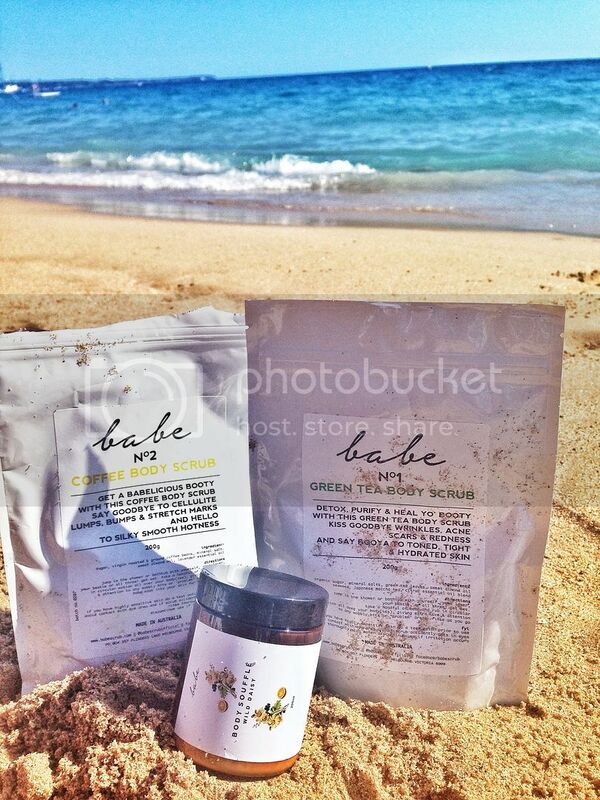 Babescrub is an essential for all us hedonistic beach babes and has made me beach ready throughout my trip. Head over to their site and join Babetown too!